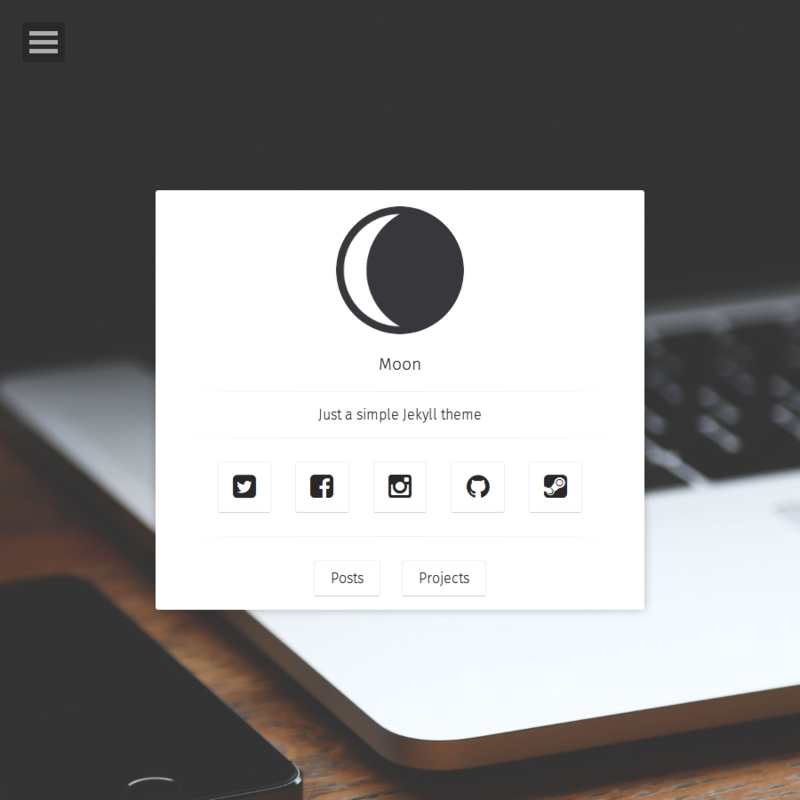 Moon is a minimal, one column jekyll theme. I’m not a developer or designer. And I don’t add footer to show who did this theme. If you like this theme or using it, please give a star for motivation, It makes me happy. Remove sample posts from _posts folder and add yours. Edit index.md file in about folder. See a live version of Moon hosted on GitHub. 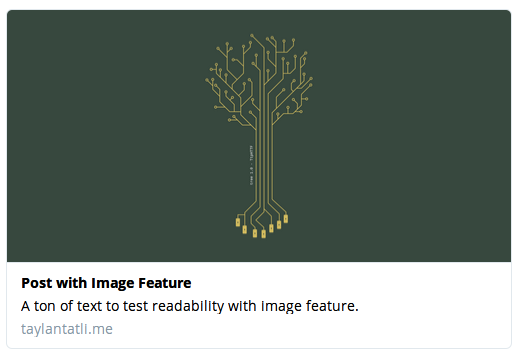 The description to show on your homepage. 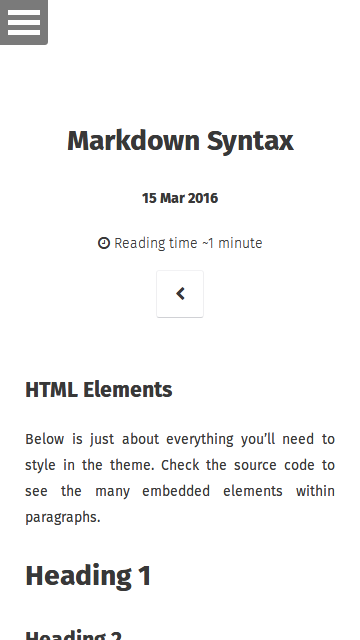 The description to use for meta tags and navigation menu. 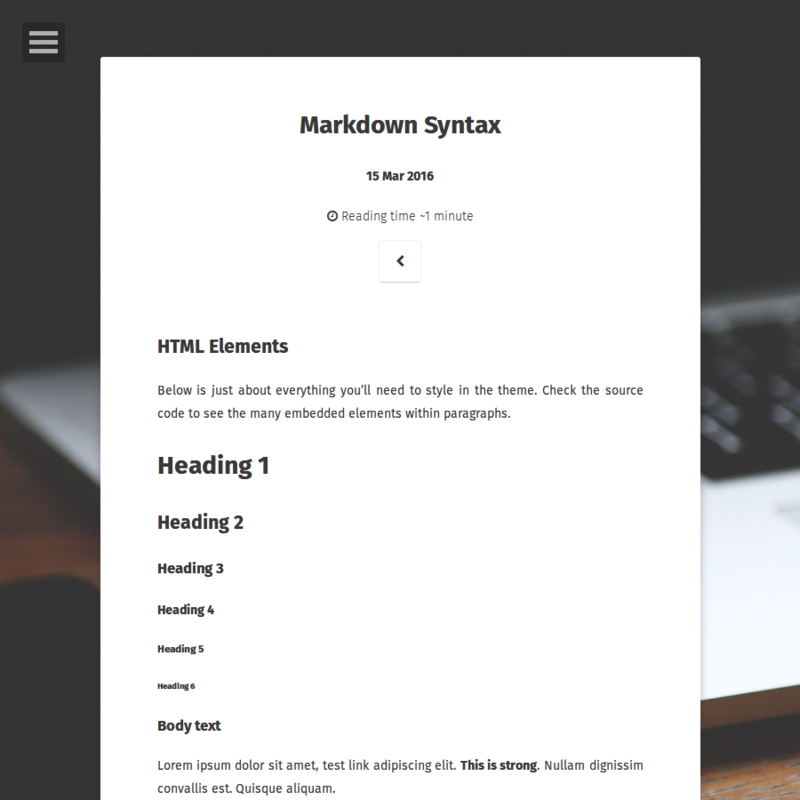 Set true to show reading time for posts. And set words_per_minute, default is 200. Your site’s logo. It will show on homepage and navigation menu. Also used for twitter meta tags. Image for background. If you don’t set it, color will be used as a background. Google Analytics UA and Webmaster Tool verification tags can be entered in _config.yml. For more information on obtaining these meta tags check Google Webmaster Tools and Bing Webmaster Tools support. It’s enabled. But if you don’t want to use it. Set it false in _config.yml. Set your disqus shortname in _config.yml to use comments. 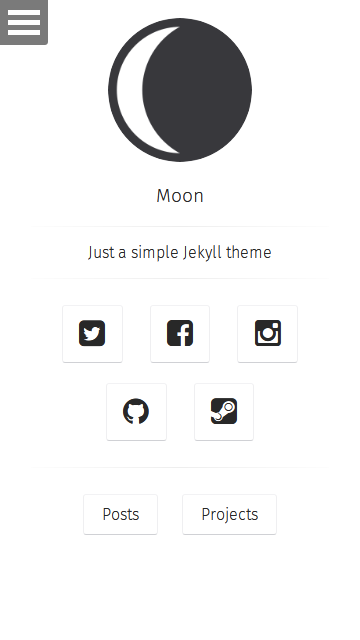 Moon Theme use Jekyll Compress to compress html output. But it can cause errors if you use “linenos” (line numbers). I suggest don’t use line numbers for codes, because it won’t look good with this theme, also i didn’t give a proper style for them. If you insist to use line numbers, just remove layout: compress string from layouts. It will disable compressing. 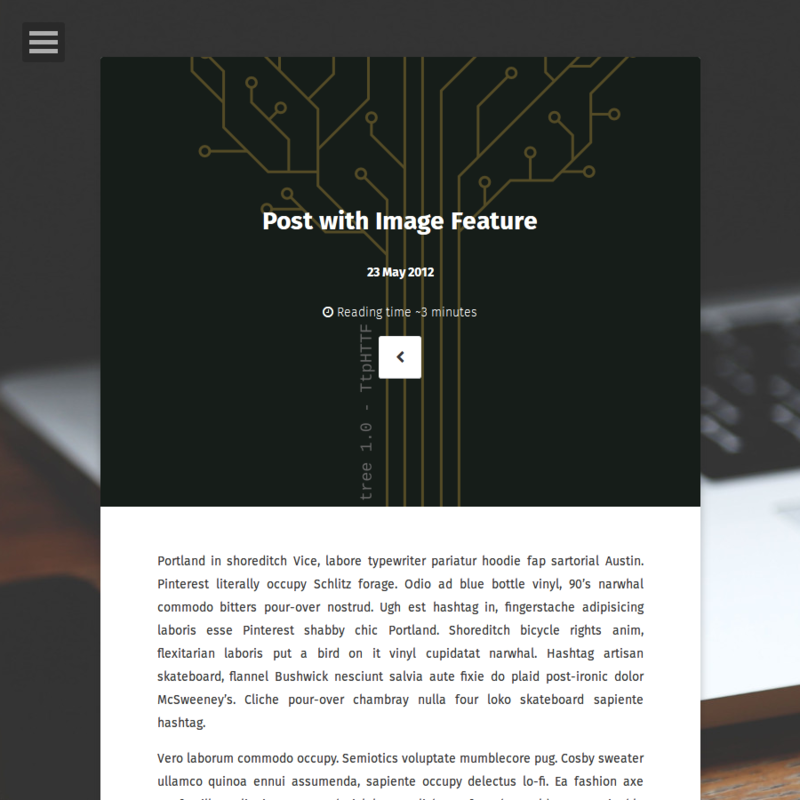 You can set feature image per post. Just add feature: some link to your post’s front matter. To show disqus comments for your post add comments: true to your post’s front matter. Found a bug or aren’t quite sure how something works? By all means file a GitHub Issue. And if you make something cool with this theme feel free to let me know.